Housebroken: No – I’m working on this! 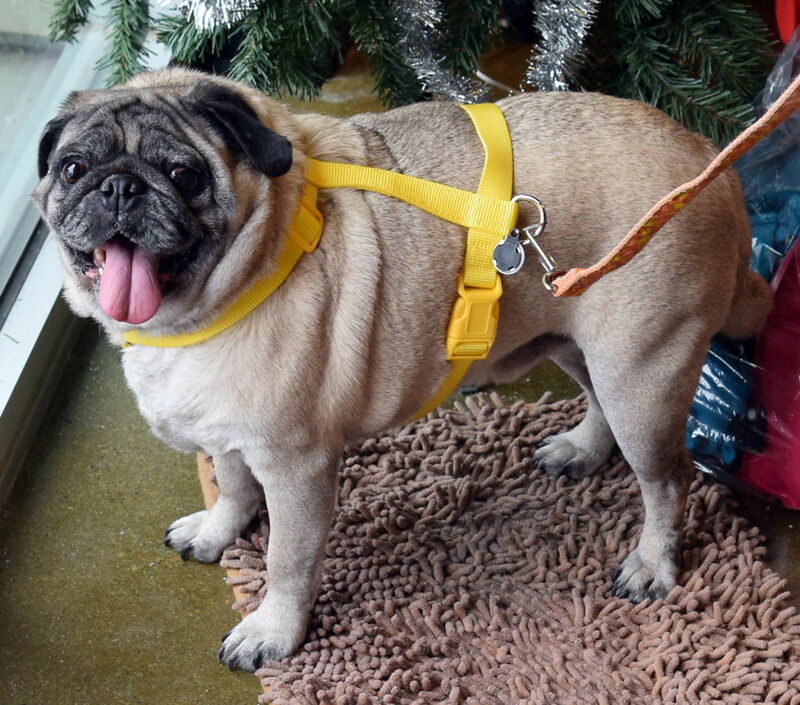 Likes: I’m a couch potato for the most part (snuggling and sleeping), but I do enjoy walks on a leash. Hi, I’m Will! I’m a laid back 6-year-old who acts older than his age. I guess you could call me a bit of an “old soul.” I’m very loving and affectionate and I like to be around people. My favorite pastime is to relax on the couch, but I’m also a fan of a walking outdoors on a leash. I’m in the middle of a lifestyle change to get me to a healthy weight, so my new home will need to continue to help me get plenty of exercise. I’m working on not marking in the house and I currently wear a belly band when I’m inside. I get along very well with other dogs and children of all ages. I’m crate trained, but I love to sleep on the bed if you’ll give me the chance. I need a family who is loving and has the time to pay attention to me and give me the love that I have been missing. Interested in adopting? Will’s minimum adoption donation is $325.